Does My Website Have To Be Hosted? How Do Bluehost’s Virtual Servers Compare Against Its Competitors? In this post, I’m going to examine Bluehost’s different hosting plans. My name is Ryan and I earn a living online– primarily from websites that publish information and monetize with affiliate marketing and display ads. I also run my mother’s small business website- so I have a pretty diverse experience when it comes to hosting. I’m going to walk you through the 3 primary Bluehost hosting plans. I’ll review what they actually provide in layman’s terms. And I’ll describe my own experience with Bluehost as one of their actual customers and a non-technical user. Going a bit deeper into the 3 primary types of Bluehost hosting configurations, it’s good to know that you can always upgrade from one plan to another- so don’t stress out too much selecting the best web hosting plan to start. If you’re in doubt, just go with a cheap Shared Hosting plan to start- see if it meets your needs and upgrade if necessary. It’s painless- Bluehost will handle the transition on their end- walking you switching the DNS for your domain names and transferring the hosting files. That’s what I did before upgrading to a Virtual Private Server plan when my site began getting over 100,000 visits a month. Bluehost Shared Hosting- best for beginners looking for a cost-effective, cheap way to host their WordPress.org, Wix, Weebly, or other website. Plans range from $2.95 – $5.95 a month, though you’ll need to buy a 36-month plan for those prices. Shared hosting enables multiple websites to use a single server. Most of the time, you won’t know the other websites you’re sharing your hosting resources with. Each hosting customer will have a limit on their server resource usage- this is defined by the hosting package you select. It’s a cheap and economical option- but these limitations can cap your growth as you get more and more traffic. Bluehost Virtual Private Server (VPS) Hosting: a step up from shared plan, Bluehost promises increased power, flexibility, and control for your websites. In a nutshell, it’s a hybrid of shared and dedicated plans- providing performance enhancements over shared hosting without the higher costs of a dedicated hosting plan. You will still be ‘sharing’ resources, but there are dramatically fewer ‘residents’ in your hosting ‘building’, to use an apartment metaphor. So, with a VPS, you are designated hosting resources that are not shared by everyone. Like I said earlier, I switched to this plan once my websites started receiving over 100,000 visits a month. A virtual private server is ‘partitioned’- which means that it has its own disc space, operating system, and bandwidth. Plans range in price from $19.99 – $59.99 a month, though you will have to signup for 36 months in advance to access those prices. Bluehost Dedicated Hosting: If you’re looking for high-end website performance, control and security, a dedicated plan is a choice. Prices range from $79.99 – $119.99- though you’ll have to signup for 36 months to access that discounted monthly rate. Dedicated hosting is a type of configuration in which a server is dedicated to a single website, or fleet of websites in that account. It provides more control and freedom and shared or VPS plans. This is because the server is ‘dedicated’ to one client and you’re not sharing resources with other cohabitants. This also means that your solution can be customized to your specific requirements. This is the most expensive and highest-performing option- granting greater flexibility than shared plans, as you (or an organization) would have complete control over the server(s), the operating system, the hardware, and other variables. It’s actually really hard to figure out which hosting providers provide the best average performance. There are some websites that have made heroic efforts to statistically analyze performance across different service providers, but these are generally limited because there are so many factors in play. There are different hosting plans, with websites all using different amounts and types of resources, in different locations around the world, and the analysis really only gets a snapshot of performance at a single moment in time. Probably the best way to analyze it would be if all the hosting providers provided performance statistics across all of their plans- but they don’t do that. Another interesting component- if you’re going to evaluate your provider’s performance by, for example, the speed of your website using Google’s Page Speed Insights tool, you have to keep in mind that your site speed is affected by many factors unrelated to your service provider. It could be that the images on your site are huge and take forever to download. It could be that your theme isn’t coded well and is dragging down site performance. When I upgraded my plan to VPS, I thought I was going to see a dramatic improvement in site speed. It wasn’t until I hired a WordPress developer from UpWork that I was able to get 90+ page speed score grades from Google. This is all to say that hosting is one part of the equation when it comes to evaluating your site’s performance. I’m not a tech wizard- I’m more of a digital marketer, but I do have extensive experience dealing with and evaluating these internet service companies at this point. As I mentioned, I’m not a tech savant- I actually don’t know a ton about the technical wizardry that enables my websites to be accessed across the world. Nevertheless, choosing a provider is a serious consideration. And I’ve done a ton of research on it- sometimes feeling like I knew less than before I started. Because Bluehost has a lucrative affiliate program, everyone is eager to promote them. This means that the ‘online reviews’ are pretty slanted. Though there are some heroic exceptions. Below, I’ll walk you through my thoughts on Bluehost and which plan I currently use. I was first attracted to Bluehost in 2014 when I built a website for my mother’s therapy practice. Bluehost was ultra cheap and my mother’s site wasn’t getting much traffic. It made sense to choose a low-cost, functional plan for her business- so we went with a Shared Hosting plan. Fast forward a year and I’ve begun creating my own websites, investigating the ‘make money online space’. In the beginning, they were pretty awful websites and didn’t get much traffic. However, over time I improved and they started getting lots of traffic. I had about 12 sites on my Bluehost account. One day I get a notification from Bluehost that there’s malware on my account. After some investigation, it seems that one of the WordPress plugins I had neglected to update had exposed my account to hackers. The long and short of it was that Bluehost wouldn’t help me with the issue unless I was willing to risk significant down time with my websites. I didn’t want to risk down time and since I was already considering upgrading to a different plan, I found a different provider (SiteGround), that would help me with the malware issue without having the sites go down. They migrated all of my sites as part of my plan purchase and helped me resolve the issue. At the end of the day, I should have been better with site security, so I’m not impugning Bluehost- it’s just how the situation ended up playing out. Look for the Web site section and choose Install WordPress.Click on the Install option. Pick the website name to install it to. Within the field next to the domain name, you are able to type in a subfolder like ‘blog’ or leave it empty if you would like the website’s primary page to be the blog. If required, it is possible to modify the e-mail address, username and security password for the fresh WordPress installation. Simply click “advanced options” and you may modify those settings. When doing a comparison of hosting we usually compare the features that affect or limit its performance. Random Access Memory affects the speed with which a server processes commands. When more complex commands are to be processed, you need higher RAM. For instance, those websites that are really dynamic and run complex queries on a database can get a performance benefit when having higher RAM. The same can be said about database servers querying large databases. Local space for storage limits the size of the database as well as local storage of such files as images. RAID configurations that increase the reliability of data and performance of Input/Output (I/O) require more than one separate volumes of storage. Storage can as well have the form of networked storage such as SAN (storage-area network) or NAS (network-attached storage). Among the instructions executed by a CPU are running database queries, processing computing commands, etc. It is the number of cores and CPU that decide the number of concurrent instructions to be executed. Architectures and features of CPU also impact the speed of execution of instructions, especially in cases when programs are customized around similar features. Here you can find information on comparing processors. Bandwidth is the limit of the data transfer. That is the data amount that can be sent to, and at the same time, from your server. Existence of higher bandwidth does not mean that applications will perform better unless the higher bandwidth can be used. Such things as concurrent streaming of video, gaming, as well as big data processing can have a performance benefit thanks to high bandwidth. Solid state drive (SSD) provides higher speed for disk read/write (which is also called Input/Output (I/O) performance), compared to hard disk drives of SATA. Servers with SSD have a faster speed of reading and writing to disk, however, they have a lower storage space than hard disk drives of SATA for a particular price. One needs to take into account the difference between bandwidth that is unmetered and the one that is wide/high. Unmetered bandwidth means that traffic is also included in its price. That is very good, but it still does not mean that your servers will have a wide bandwidth. In general, dedicated servers provide 100Mbps or 1Gbps. An unspecified part of this will be provided by shared plans. Here you can find information on unmetered bandwidth. Traffic allowances are what state the amount of traffic both to and from your server, additional charges excluded, (usually per GB). Limits of traffic have no impact on performance, but they do affect the size of the monthly invoice the user will get. Network latency, the milliseconds of delay while information is being sent between the server and user, is not in fact specified by the hosting provider. However, it is impacted by the distance of networking between the server and user, as well as its quality. High-availability (HA) refers to the availability of network and power. It is reflected in the actual track record of a hosting provider to maintain both uptime and the SLA (Service Level Agreement), the role of which is guaranteeing a particular level of uptime.HA can as well be achieved at the level of application and hardware. In this case, redundancy is introduced into the system in the following separate forms: active-passive and active-active pairs of components, with failover in case there are isolated failures or other emergencies. Generally, hosting companies appreciate the power WordPress has, and many of them have started optimizing their hosting services for users of WordPress specifically. Bluehost is among those companies. In this way, it becomes easier for users to host or build a website of WordPress. In addition, they provide hosting options configured specifically for users of WordPress.In contrast to the shared plans of Bluehost, which is considered to be the easiest and most affordable way to found a blog, the shared type of hosting plan is not specifically customized for WordPress software. As managed WordPress options are becoming more popular, a lot of internet service companies are working on providing some form of WordPress service that is optimized.There has recently been an optimized WordPress plan introduced by Bluehost. It is a managed platform specifically designed to house WordPress websites. Now, you might ask in what ways is this WordPress plan optimized for Bluehost, and how are shared plans cheaper & different from each other?Well, the most important difference can be that Bluehost optimised WordPress plans provide VPS power and advanced NGINX architecture, as well as custom configuration of PHP-FPM.The optimized type of WordPress platform uses Bluehost’s virtual private servers built from the ground through SSD storage. This gives your website increased power and flexibility and enables it to have more control over the websites. Bluehost WordPress hosting is a managed platform created by Bluehost and is built specifically taking into consideration WordPress websites. In other words, servers of this platform are customized in a way to work ideally with WordPress software. This platform is made on the VPS technology, and a unique architecture has been engineered to make it the best fit for the WordPress software. Thanks to this design and configuration, it is easier to create WordPress websites on Bluehost. The platform brings a number of tools that are specific to WordPress. All these tools are dedicated to the WordPress service, thus making the WordPress + Bluehost combination really powerful.The article highlights the major features the Bluehost WordPress plan has, thanks to which they stand out from other hosting plans. This is among the most famous features that all managed WordPress hosting services have. For the reason that the servers are customized primarily for WordPress, it is easier to offer automated installation of the software. With the optimized hosting platform, Bluehost is able to make the installation process really easy. The issue of website security is a huge concern for many WordPress users, so it is very important that platforms customised for WordPress take the security concerns into account.With the help of Bluehost, WordPress has taken security a step ahead, as its optimized platform includes SiteLock and Security WAF and all their plans for free.All of the plans include features of integrated powerful SiteLock for keeping WordPress websites secure and safe. One of the advantages of managed platforms is that they configure their server environment in order to make it more suitable for the requirements of WordPress software. This ensures that your website is delivered by the servers. The custom architecture of Bluehost that is built for the optimized platform of WordPress, ensures very high speed to websites. It is built using the power of the VPS (virtual private server), plus advanced NGINX architecture, as well as custom PHP-FPM configuration, enabling it to work perfectly with WordPress and ensuring fast loading of websites. WooCommerce is a WordPress plugin which adds a new, e-commerce functionality to the WordPress website so that users are able to have an online store. Just with a few clicks, you can turn your WordPress website into an e-commerce website that is fully functional.If you are interested in what WooCommerce is, that might mean that you have already opened a WordPress website and that you are now ready to start selling. In this article, we will talk about what WooCommerce is and how it can be helpful to you. If you are doing an online business, a Woocommerce plan can be the best way for you to kick it off. With it, you will have the opportunity of choosing from three hosting plans, for example, Starter, Business Pro, and Plus.When choosing managed WordPress and WooCommerce hosting, you need to pay attention to the factor of security. And with Bluehost, you will be provided all the security needed for managing your online store. Bluehost offers positive SSL on the plan of Starter with 24/7 technical support. Using this particular plan, you will receive 100GB website space and unlimited bandwidth.In case you have started an online business and now are looking for a Business ProPlus or Plus account, you will be able to get an unlimited number of parked domains and subdomains. Bluehost is a web hosting organization that is owned by the Endurance International Group. It is one of the 20 largest web hosting organizations and has, by and large, hosted more than 2 million domains along with its sister organizations, iPage , HostMonster and FastDomain. The organization keeps its servers within a 50,000 square feet office in Provo, Utah, which is currently shared with their sister organization HostMonster. Bluehost has more than 700 employees in its Utah facility. The Endurance International Group (EIG), once known as BizLand, is a web service organization. The organization was initially established in 1997, and it is headquartered in Burlington, Massachusetts. It accomplished its expansion by taking over numerous smaller organizations, which it keeps on working under their original brand names. Matt Heaton was motivated to launch Bluehost in 1996 when he was chipping away at a web statistics program of his own creation and found that the web hosting services of the time came up short and were not up to his standards and requirements. He thought that web hosts could provide more space and be more advantageous and easier to utilize, and he set out to resolve the issue by initially founding two other web service companies, namely, 50megs.com and 0catch.com, before last settling on the brand name Bluehost in the year 2003. In 2009, BlueHost launched a new feature for all of their clients which was known as CPU throttling. CPU throttling (at BlueHost and other similar web hosting services) basically alludes to the process of decreasing the client’s utilization of the CPU whenever the specific client is using a lot of the server assets in a short amount of time. At that specific time, BlueHost would stop (or significantly lessen) customer destinations’ CPU utilization considerably. This served to close down customers’ websites that were hosted on the BlueHost server for a few hours a few times during a single day. In 2010, BlueHost was taken over by the Endurance International Group. In June 2011, organization founder Matt Heaton reported on his blog that he was relinquishing his position as CEO to concentrate on the organization hosting service design and the technical, specialized structure, while COO Dan Handy assumed control as the CEO. Since 2013, Bluehost has offered VPS and committed server hosting as part of their service features. In January, 2015, Endurance International Group chose Mike Olson to be the new CEO of Bluehost, as Dan Handy had moved to enterprise-wide portable device development for little businesses. Web hosting is a service that enables firms and individual people to host a site or website page using the service to post it onto the Internet. A web host specialist organization is an organization that provides the technologies and hosting services required for the site or site page to be seen on the Internet. Sites are stored, or hosted, on specially dedicated PCs which are called servers. Whenever users of the Internet need to see your site online, they have to do is to simply write your site address or domain into their internet browser. Their PC will then connect with your server and your site pages will be transmitted to them through their internet browser. Most web service organizations demand that you first register your domain before you can get your website hosted on their servers. On the off chance that you don’t have a domain name already registered, the web-hosting organizations will enable you to buy one easily. These internet service providers enable organizations and people to make their site accessible to any person who has access to the internet. Web hosts are technology companies that provide clients space on a server that they either own or have a lease on to be used by these clients for website hosting purposes and also giving them Internet availability, commonly in a server farm. Web hosts can likewise give server farm space and access to the Internet for different servers situated in their server farm, called colocation, otherwise called Housing, in Latin America or France. In spite of what the marketing teams of software organizations try to tell you, the web isn’t all located in the clouds. Truth be told, the reality is quite the opposite. A great part of the web is underground, spread all through the world via wires and cables server farms. This global network of internet cables spans the oceans of almost the entire world. The web isn’t wondrously transmitted by magic from the UK over to the US. It’s not transmitted by satellite anywhere either. There are hard-lines running underwater, at the base of oceans and seas all over the world. You might be reading this on an electronic gadget connected to the internet by means of Wi-Fi, however, that Wi-Fi signal is originating from a router that is hardwired into the web. Servers are used to host websites. Actually, a server is only a computer that is linked to the web. If you wanted to, you could even use your own PC to host a website, with your PC acting as a dedicated server for your website. Be that as it may, most websites are hosted on particular servers that are dedicated to hosting sites for clients. Without going into too many technicalities, these servers are directly linked to the world wide web and they have backup systems set up in the event that part of the system stops working for any reason. These servers (along with their backups) are designed to handle an extremely large amount of online traffic and they also have security measures in place to protect them from attacks by malicious hackers and they also prevent sensitive information leaking out to unauthorized people. This does not mean that things can’t go wrong with these dedicated hosting servers, however, they are a much better option to host your websites instead of using your home PC to host them. The simple answer is yes, you website has to be hosted on some server or another. Things don’t just magically appear on the internet. Everything that you can see and interact with on the internet is all hosted somewhere or other in a physical location somewhere on the planet. The answer to this depends a great deal on what kind of website you intend to create and also how much storage space it will take up on a hosting server. Theoretically, there are no real limits to the storage size that might be needed for your website, no matter how large it is. If you use specialized web-hosting services such as Squarespace or Shopify, then your website will automatically become hosted by that organization. Then again, websites that were developed using WordPress or Magento are self-hosted, which means that you have to discover server space yourself to store them on. Consider it as similar to leasing a bit of property on the web. The costs and capabilities of servers and host suppliers can change drastically. As we said above, it all depends on what your needs and requirements are. It’s significant to note that you may come across plan packages that are not worth the money, no matter how cheap the package might be. For instance, less expensive packages regularly limit the number of individuals who can see your site. So suppose your farthest limit is 25 gadgets that can view your site at the same time. In the event that a 26th individual comes along and tries to access the site, it won’t load for them on their web browser. On the off chance that many individuals are trying to go to your site at the same time, the site could crash as a result of all the traffic. At the end of the day you typically get what you pay for. Web hosting service organizations can run web servers and the extent of their web hosting services fluctuates a great deal. The most basic kind of website hosting is the housing of simple site pages and small scale hosting of files, where documents can be transferred by means of File Transfer Protocol (FTP) or a Web interface. The documents are normally transmitted to the Web “as seems to be” or with negligible processing. Numerous Internet Service Providers (ISPs) offer this service to their clients. People and organizations may likewise acquire Web page hosting services from other web service providers. Some organizations offer clients web services free of charge but with restricted services and advertisements as part of the deal. When compared to paid services, these free services do not have the same standards of speed. These services for single web pages is typically adequate for personal websites. Hosting for personal websites is typically a free service as there are no great requirements. On the other hand, business and commercial websites have significantly greater demands and so, they cost a lot more than personal websites to host, depending on the type and size of the website. There are a number of large-scale organizations which are not internet service providers, yet they still need a full time, dedicated services to host their websites and to be always connected to the internet in order to send and receive files, emails etc. to other websites. This kind of organization may use computers to their website hosting service providers to host webpages that provide details about their services and products and allows visitors to those pages to order those products or services using online payment methods. A website that is complex and has a large amount of data as part of it requires a web package that is more far-reaching than typical website hosting packages. The packages for these kinds of complex websites requires various technical services such as application improvement, database support, support for ASP.NET, ColdFusion, Java EE, Perl/Plack, PHP or Ruby on Rails, etc. These services allows clients to design custom scripts for various applications such as discussion forum boards and managing content. Additionally, Secure Sockets Layer (SSL) is regularly utilized for sites that desire to keep the information transmitted more secure. Shared web services: This means that a website is stored on the same server as many other websites. In normal cases of this, all these domains have to share the resources of a single server, such as RAM and storage space, etc. The features that are accessible with this kind of internet service can be very basic and not very adaptable regarding further programming and updates. Resellers regularly offer sell shared web hosting and web companies frequently have reseller files to give web services to customers. Reseller web hosting: This enables customers to host their websites themselves. Resellers could work, for individual domains, under any blend of the various types of hosting, contingent upon their identity subsidiary as an affiliate (reseller). Affiliates’ accounts may fluctuate a lot in size and they may have their own virtual devoted server to a colocated server. Numerous affiliates give an almost similar service of their supplier’s shared plan and provide specialized help themselves. Virtual Dedicated Server: Also called a Virtual Private Server (VPS), isolates server assets into virtual servers, where assets can be designated in a way that does not specifically mirror the basic equipment. VPS’s are typically apportioned assets with one server connected to numerous VPSs, however virtualisation might be improve the situation for various reasons, including the capacity to move a VPS holder between servers. The clients may have root access to their own particular virtual space. Clients are now and then in charge of fixing and keeping up the server (unmanaged server) or the VPS supplier may give server administrator undertakings to the client (managed server). Managed hosting service: In a managed service plans, the client gets his or her own particular Web server yet isn’t permitted full control over it (the client is denied full access for Linux/administrator access for Windows); be that as it may, they are permitted to deal with their data by means of FTP or other remote administration methods. The client is prohibited full control so that the supplier can ensure quality of service by not enabling the client to alter the server or possibly make significant design changes. The client ordinarily does not claim the server. The server is rented to the customer. Dedicated hosting service: In this, the client gets his or her own particular Web server and has full control over it (the client has full access for Linux/ administrator access for Windows); be that as it may, the client ordinarily does not own the server. One kind of dedicated plan is self-guided or unmanaged. This is typically the least costly of all dedicated hosting plans. The client has full regulatory access to the server, which implies that the customer is in charge of the security and upkeep of his or her own dedicated server. Colocation web hosting service: This is similar to the dedicated web service, however, the client possesses the colo server; and the hosting organization gives physical space that the server takes up and deals with the server. This is the most effective and costly sort of web hosting service. By and large, the colocation supplier may give practically no help specifically for their customer’s machine, giving just the electrical, Internet access, and storerooms for the server. By and large for colo, the customer would have their own administrator physically visit the server farm to do any equipment updates or changes. Previously, numerous colocation suppliers would accept any kind of framework or system configuration for hosting purposes, even ones housed in desktop-style minitower cases, yet most now require rack mount walled in areas and standard system configurations. Cloud hosting: This is another sort of service platform that permits clients effective, versatile and scalable services based on grouped load-adjusted servers and utility pricing. A cloud-hosted site might be more reliable than other choices since different computers in the cloud can take up the load when a solitary bit of equipment goes down. Additionally, nearby power interruptions or even catastrophic events are less tricky for cloud-hosted websites, as cloud hosting is decentralized. Cloud hosting additionally enables suppliers to charge clients just for the assets that are used by the client, as opposed to a flat expense for the sum the client expects that they will utilize, or a settled cost. On the other hand, the absence of centralization may give clients less control on where their information is found which could be an issue for clients with information security or protection concerns. Clustered hosting: This refers to having numerous servers housing the same content for better asset usage. Bunched servers are an ideal answer for high-accessibility dedicated requirements, or making a versatile web hosting arrangement. A cluster may isolate web serving from database hosting capacity. Grid hosting: In this type of distributed plan, a cluster of servers performs similar to a grid and is comprised of numerous nodes. Home server: As a general rule, a solitary machine in a private home can be utilized to host at least one sites from a consumer level broadband connection. These can be specially built machines or can be regular old PCs. Some ISPs endeavor to block home servers from housing websites by prohibiting incoming data requests to TCP port 80 of the client’s internet connection and by declining to give static IP addresses. A typical approach to accomplish a dependable DNS have name is by making a record with a dynamic DNS services. A dynamic DNS service will naturally change the IP address that a URL links to when the IP address changes. Our domain manager makes it simple to track, refresh, exchange, buy, and oversee the majority of your domains in a single place. Plus and Business Pro accounts further provide endless add-ons and parked domains, subdomains, and even residential and universal domains. Make and oversee an infinity of email accounts. The advanced features incorporate sending account filters and rules, support for secure POP3 and IMAP, 3rd party compatibility, protection from spam, and even distinct client account controls. We make backups day by day, week after week, and month to month for your whole account. Effectively restore your entire data collection with the click of a mouse, or utilize our discretionary PRO backup service to restore particular records and databases. The technology used by Bluehost distinguishes sites utilizing exorbitant assets and re-allocates them to segregated system configurations. This safeguards your site performance and mitigates the hazards typically associated with shared servers. Begin with what you need and shift to more powerful alternatives as your site expands and develops. Our custom technology gives you a chance to update and upgrade your websites in just a few simple steps. Bluehost’s uptime is an impeccable 99.98%, which is well above the industry standard which is around 99.90%. This means that you get just 1 hour of downtime out of 4380 hours. However, last August, Bluehost suffered due to multiple DDoS attacks against their hosting servers. Since the start of 2017, Bluehost has enhanced their page loading speed a great deal. As indicated by hostingfacts.com, their speed enhancement is because of them completely overhauling their server park (“Bluerock servers”). Slow page loading speeds don’t simply harm the company’s image with the customers, they lead to overall decreases in revenues as well. Fortunately with Bluehost – you don’t need to stress over this anymore. Bluehost’s security choices are great, offering features and tools that effectively battle the most common dangers and risks to websites. For instance, you can prevent getting spam with tools like Spam Hammer, SpamAssassin and Spam Experts. These tools also support CloudFlare, which anticipates troublesome DDoS assaults that can bring a site down because of a staggering amount of internet traffic from numerous different sources. They also offer protection in the form of hot link (preventing individuals from taking your pictures or content), blacklists for various IP addresses and SSH access for encrypted and secure web sessions. Bluehost is a standout company amongst the other modest choices available on the market, which is another cause for the great amount of popularity that Bluehost enjoys. It’s not the least expensive when compared with different hosting services, but rather it is a decent option cost-wise and feature-wise among other famous alternatives. Bluehost comes with a dashboard that is loaded with applications so you can coordinate different services, similar to Google Apps and the previously mentioned CloudFlare, to expand the conceivable outcomes for your site. The official WordPress site (WordPress.org) recently re-developed their hosting page. On that page, they’ve listed 3 top website hosting services, including SiteGround, Dreamhost and Bluehost. Handling over more than two million domains is not a simple or easy task and expecting that from their customer support is not reasonable. However, being kept on hold for about 43 minutes (during their busy hours) to get through to their customer support representatives isn’t great. Moreover, our experience was one of long postponements between brief and curt responses from their helpline (rendering their help nearly useless). In any case, one positive is that their YouTube channel DOES contain huge amounts of useful instructional videos. So if its all the same to you, it is easier to begin there in the event that you have an issue that needs to be resolved before you attempt to contact their customer support service. There is no doubt that Bluehost is economical and affordable. However, if you try to find out exactly how affordable, then you might start to change your mind. Their super-low starting rate of just $2.95 a month comes with a few strings and catches. To be specific, when you have to subscribe, you are committing to three years worth of services. If you just want to begin with a subscription for 12 months, then your rate for that will go up to $3.95 every month. On top of that, if you want to start off with a hosting subscription for 1 to 3 months, you can’t do that with Bluehost. Other alternative service providers will have to be your solution to that problem. Things being what they are, possibly you should take them up on that three year deal, in light of the fact that when you have to renew a yearly subscription, it costs $8.99 per month. Bluehost gives three shared options for you to look over. However please take note that the prices mentioned below are for the three year basic plan. Rates for shorter plans are higher and you can’t get anything lower than a year. Likewise, the word unlimited’ doesn’t generally mean limitless (as talked about in the last segment). The basic plan: For $23.95 per month, you get one site max, 50GB capacity and ‘unlimited’ data bandwidth. You additionally get 5 email accounts (with a maximum of 100MB storage space for each). Plus plan: $5.45 every month gives 10 sites, 150GB capacity, and ‘unlimited’ transfer speed. You additionally get 100 email accounts of 500MB storage limit each. You have to pay for three years to truly appreciate the promoted cost for their mutual hosting plans. It will cost substantially more in the event that you pick a shorter length, and the base span you can pay for is a year. Simplicity of Signup: Easy two-page joining process. Installment Methods: Popular credit cards and PayPal. Concealed Fees and Clauses: The low basic beginning rate for a three year package (with renewable plans that bounce). Also, they will erase you entire account in case you exceed 1,000 database tables or if one of your database tables exceeds 3GB. Control Panel and Dashboard Experience: Simple and easy to utilize the dashboard. Account Activation: Most clients can enjoy a fast activation of their accounts. On the off chance that data is wrong or there’s a doubt of extortion, the initiation of the account may get postponed. Installation of Apps and CMSs (WordPress, Joomla, etc. ): Mojo Marketplace makes application installation speedy and simple! Utilizing open source innovation, as OpenStack and KVM, our VPS is both capable and simple to utilize. What’s more, by building our servers with cutting edge technology, we offer extremely fast speeds. Get up and running in seconds. Where most VPS arrangements take hours or days to initiate, we have designed our VPS servers to initiate quickly. Utilize your server at the exact moment that you require it. By using state of the art technology, your sites will perform dependably at ideal levels. What’s more, on account of our execution of KVM hypervisor, your assets are ensured to be accessible all the time. With our improved cPanel, our server extensions are intensely evaluated and empowered without needing administrator support. Coming soon: extra CPU and RAM. Each VPS setup incorporates our enhanced cPanel interface. It highlights everything found in our Shared solution, alongside exceptional features and tools for VPS administration and WHM control. Our team is always prepared to deal with specialized issues and problems that you might have, as well as to help you with all things related to getting on the web. Bluehost is a fantastic choice for entry level web hosting in a lot of ways. The organization invites first-time website proprietors into the universe of web hosting with open arms and has an element of rich shared server advertising. As your site’s needs develop, Bluehost ushers you into the domains of VPS or committed hosting. It’s an undeniably excellent host for each of your website hosting needs. As we surveyed Bluehost’s virtual server designs, we found a similar broadness that we’ve generally expected from this website service supplier. Start small, and include RAM, CPU centers, and plate space as you develop. To sweeten the deal even further, Bluehost VPS comes with 100% managed support. VPS pricing is conceivably the most factor of all the types of hosting. You can discover a VPS for as low as $5 to upwards of $100 per server. In any case, consider this: A VPS can be utilized to host websites with 30,000 guests per month up to 30 million visitors per month — so the pricing difference is by plan. A VPS plan is the most adaptable regarding server setups, assets, execution, and cost. The appropriately named Next-Gen VPS Hosting, Bluehost’s virtual server designs, back a huge amount of processing power into little machines. Starting with two cores is entirely normal, and you can include capacity, memory, and CPUs as required. Solid state drives give servers an additional speed boost. A key metric we use to gage execution — and we’re not the only one — is uptime. It’s precisely what it sounds like: the level of time your site (or the server it’s hosted on) is on the web and accessible to anyone with internet access. In case you’re maintaining an online business, downtime implies income loss. Suppliers may guarantee to keep your website or server online X% of the time — regularly 99.9% to 99.999% — which gives clients trust in their services. We wish Bluehost would attach an additional nine or two, however the organization’s uptime rates have verifiably been truly dependable. A host’s unwavering quality is more than a measure of system uptime, be that as it may. It’s one part equipment quality, one part human dependability — you know, the people who are there to help when the tech does unavoidably come up short. Bluehost tries its hardest to provide on-request help to its clients, and keeping in mind that the help has gone down since the EIG takeover, we praise the group for offering benefits over all other VPS designs. We’ve more than once appraised Bluehost among the positions of leading hosts for WordPress, cloud servers, and shared hosting. The host is cherished by newcomers and veterans alike, and you’ll discover the organization recorded among our best picks for VPS too. When we investigated the most vital virtual server has, we took setup time, uptime, security, and support into account. Every server is custom designed in-house by our architects utilizing the most recent technological innovations. What’s more, our utilization of open source innovation, as OpenStack, gives us the adaptability to overhaul time to time. While most dedicated arrangements take hours or days to initiate, our innovative technology enables us to arrange devoted servers instantly. Your server is remaining by so it’s prepared for you the second you require it. We utilize storage of great quality with RAID level 1 support on our devoted servers. Your drives are totally protected and backup up on multiple mirrors, guaranteeing that your information is perfectly secured. This element isn’t found on most dedicated hosting arrangements. 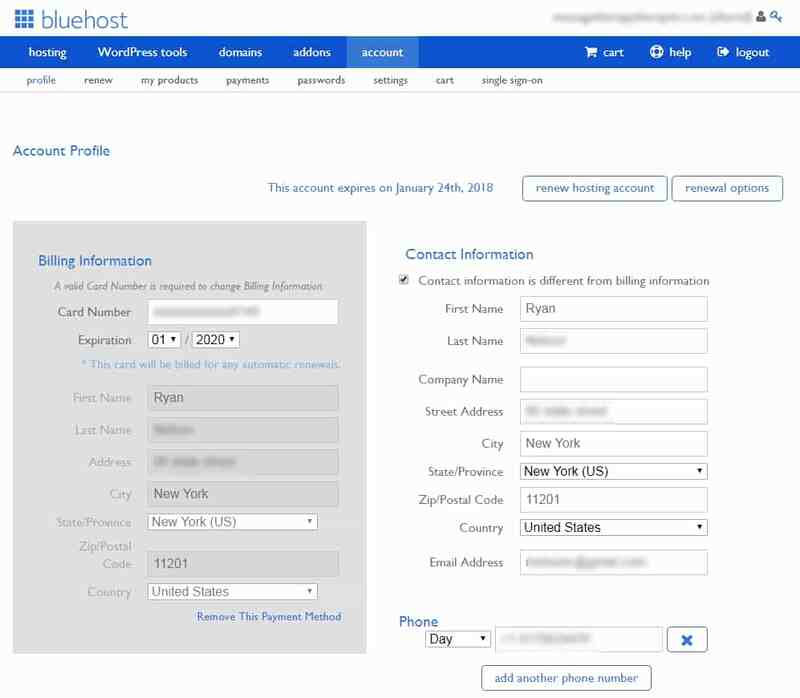 Bluehost allows you to add storage capacity whenever you require it. With our improved cPanel, you can increment accessible storage space continuously without requiring administrator intervention. For technically savvy clients, our enhanced control board gives optional root access, which gives you full control of your server. Get assisted assistance from operators who have expertise in dedicated hosting. Our devoted group works intimately with similar designers who keep up your server, so they can investigate any problems immediately. As of late, BlueHost has introduced enhanced and upgraded dedicated hosting, which removes the chances of clients moving to some other hosting service in case their needs are no longer being met by Bluehost. In this article, the editor has evaluated the BlueHost dedicated server completely, in view of the hosting packages bundles, highlights, speed, uptime and specialized help. Readers can find out about it in detail and check whether it’s dependable enough for them or not. Contrasted with the common hosting services, a devoted server is certainly significantly more costly in light of the fact that it gives full adaptability to deal with the whole server. BlueHost doesn’t charge their clients preposterously high costs, yet gives moderate hosting administrative rights, which are priced from $79.99/mo to $119.99/mo-however you should agree to accept three years to get that price. BlueHost committed server incorporates 3 level designs, as Standard, Enhanced, and Premium deals, charging for $79.99/mo, $99.99/mo and $119.99/mo respectively. All designs accompany free domain names, a committed IP addresses, CentOS 6.4 framework, KVM virtualization, and so on. BlueHost dedicated server likewise gives storage upgrades to clients that can undoubtedly add more storage to their account. By and large, it is $39.99/mo for 500 GB, $64.99/mo for 1 TB and $89.99/mo for 2 TB storage. Things don’t have rhyme nor reason if there is no great performance. To guarantee the top performance, BlueHost gives clients the custom-manufactured dedicated servers, outfitted with CentOS, enhanced Intel Xeon processors, OpenStack, KVM, and so forth. The features offered by Bluehost’s Dedicated Server Hosting designs are as cutting edge as any that you will discover in the business. The way that you have root access to totally deal with your whole server all alone makes these arrangements the ideal choice for experienced clients. When settling on an arrangement, you clearly should figure out what level of RAM and bandwidth is important to run your sites. Understand that Bluehost makes it genuinely simple to update and progress to better alternatives, so it is never a terrible plan to begin with the smallest arrangement. By and large, you will be unable to locate an arrangement of dedicated server hosting plans that offers the same number of amazing specialized tools and features as you find with Bluehost. Make sure to connect with their client service staff for more data about figuring out which plan is best for you. BlueHost has existed in the field of consumer and business web services for over 20 years, as originally it was founded in 1996. It has managed not only to become one of the most famous shared hosts in the world, but it has also managed to keep its quality of service by overcoming several minor hiccups along its way, such as aggressive CPU-throttling, etc. Premium anti-spam solutions built immediately in cPanel. Unlimited free email accounts for the high-grade plan. The storage of emails is included in the total account storage. In fact there are some limits for the number of emails you can send within an hour. Therefore, in case your website requires sending too many emails, try using a third party solution, for example, EmailOctopus. Automatic everyday backups for your stored files and the whole data the website hasHighly customized servers; regular upgrades of hardware; the existence of replacement parts that are always ready, in the event quick replacement is needed. 24×7 Live Chat and Phone Support. Most shared hosts do not usually offer Phone SupportHassle-free scalability gives you the opportunity of upgrading your plan to a dedicated server or a VPS without moving your website. The technology of account isolation isolates accounts with websites which consume too many resources, thus ensuring that the server’s overall performance does not degrade and impact all customer sites the server has. Decent level of configuration for a shared hosting plan, including PHP.ini, Server Side Includes, SSH (Secured Shell Access), and .htaccess modification support. Multiple mechanisms for user-access control for assigning multiples users and restricting their access to particular sections of the very same hosting account. Built-in CDN (Content Delivery Network) support including CloudFlare integration. Hassle-free setup makes your static resources load much faster from the worldwide CDN network of CloudFlare. Unique IPs, SiteLock and SSL protection are optional features that might also be useful for you. HostGator was launched in October 2002 by Brent Oxley, who had been a college student at Florida Atlantic University. By 2006, HostGator had surpassed 200,000 registered websites (Source).In 2007, the corporation relocated from the first office in Boca Raton, Florida to a different 20,000 square foot building in Houston, Texas. In 2008, Inc. Magazine rated HostGator in the list of fastest developing businesses at 21 in the USA and 1 in the Houston-Sugar Land-Baytown, Texas area. The very same year, HostGator chose to make their web services eco-friendly by using the services of Integrated Ecosystem Market Services. In 2010 an office was added in Austin, Texas In 2011, HostGator started operations in India with an office in Nashik, Maharashtra and a data center. HostGator was bought by Endurance International Group for $225 million (Source).As of 2013, HostGator serves more than nine million domains and it has more than 400,000 customers. InMotion Hosting is actually employee-owned and -operated domain name and website hosting company which was launched in 2001. Its internet hosting network is based on Linux and Unix operating-systems. The corporation maintains offices in Virginia and California. The company is ranked #20 in U.S. 2015 market share. iPage is a internet hosting and domain registration business belonging to the Endurance International Group. They provide an array of internet service options for internet businesses and webmasters to produce internet sites. iPage provide among the least expensive shared plan bundles which can be extremely suited to small sites. Additionally, they provide a drag and drop website builder that assists basic users to make a web site with no html coding expertise. iPage was first started in 1998 as a full web service provider, however the business totally re-launched operations as a web services provider in 2009. It is presently operated by Endurance International Group, which is also the operator of other companies such as BlueHost and HostGator (Source). iPage supplies shared plans that allow customers to web host limitless websites for a fee every month. Features provided by iPage resemble other unlimited shared solutions and can include limitless disk storage, data transfers, e-mail addresses, File transfer protocol accounts, add-on domains, and MySQL databases.iPage offers WordPress plans that are essentially shared servers that are pre-configured to operate WordPress. On their own “Green Web Hosting” page, iPage boasts they’re operated by 100% wind energy. DreamHost is a Los Angeles-based provider and domain name registrar. It’s an internet services company and cloud-computing business held by New Dream Network, LLC, launched in 1996 by Josh Jones, Dallas Bethune, Sage Weil, and Michael Rodriguez, all undergrad college students at Harvey Mudd College in Claremont, California at the time. It was licensed in 1997 by Michael Rodriguez. DreamHost started web hosting clients’ websites in 1997 (Source). As of February 2016, Dreamhost has about 200 personnel and it has near 400,000 customers.DreamHost’s shared, VPS, and dedicated plan network features Apache, nginx and lighttpd internet web servers operating on the Ubuntu operating-system. DreamHost also provides cloud storage and processing services for business owners and programmers, introduced in 2012. The user interface for consumers to control all services is a customized software developed in-house, involves incorporated payment and a support ticket system, and it has gotten excellent feedback from some clients (Source). DreamHost’s staff chip in to the official weblog along with a customer care wiki.DreamHost doesn’t provide call-in telephone assistance, however clients may pay extra in order to ask for callbacks from support. In addition, a live chat solution is actually readily available for just about all company accounts. The organization serves more than a million websites. SiteGround is a internet business provider created in 2004 and maintaining over 800,000 websites throughout the world. It offers shared, cloud web, and dedicated server plans. Presently, the corporation employs more than 400 people (Source).SiteGround has data facilities in Five nations around the world, the United States, the Netherlands, UK, Milan and Singapore. SiteGround operates CentOS, Apache, MySQL, PHP and WHM/cPanel on its web servers. The business has evolved software products for monitoring, account isolation and reaction, and speed-optimization, marketed under the 1H brand name and employed by other Linux providers. Their in-house built SuperCacher provide users to enhance their internet site performance along with the help of LXC technology, they were able to develop innovative hosting server technologies to provide optimum server uptime. In 2008, the business released the most effective account isolation protocol that safeguards each and every account on a shared server. Prior to that, it had been impossible and today the same system is used to isolate shared web accounts, which is frequently employed by web services companies. SiteGround uses SSD (Solid State Drives) to hold data.SiteGround works together with open source communities like Joomla, WordPress, Magento, among others. SiteGround partners with a variety of vendors such as SingleHop, SoftLayer, CloudFlare, cPanel, OpenSRS, Softaculous, GlobalSign, 1H, Open Classifieds and Spam Experts. Namecheap, Inc. is an ICANN certified domain registrar, that provides services for website name registrations, and offers domains which are registered to 3rd parties (also referred to as aftermarket domain names). It’s also an internet hosting company, situated in Phoenix, Arizona. The organization states that it handles in excess of 7 million domains for its roughly 3 million clients. Namecheap was established by Richard Kirkendall in the year 2000.In November 2010, it was elected the very best website name domain registrar in a Lifehacker opinion poll. Once again, in September 2012 it was elected as “Most Popular Domain Name Registrar” in Lifehacker surveys. GoDaddy Inc. is an United States openly traded Web domain name registrar and internet service business. At the time of May 2017, GoDaddy has roughly seventeen million clients and also over 6,000 personnel throughout the world. The business is renowned for its advertising and marketing on the television and in the papers (Source). GoDaddy began in 1997 by Baltimore, Maryland, businessperson Bob Parsons. Before GoDaddy, Parsons sold his economic computer software services company, “Parsons Technology, Inc.” to Intuit for $64 million in 1994. Parsons emerged out of his retirement in 1997 to roll-out Jomax Technologies, that eventually grew to become GoDaddy Group Inc. GoDaddy obtained a strategic investment from leading investment capital funds, KKR, Silver Lake, and Technology Crossover Ventures (Source). In 1999, several staff members at Jomax Technologies were thinking and chose to modify the business name. A worker reportedly wondered, “How about Big Daddy?” But, the website name had already been bought. Parsons responded, “How about Go Daddy?” The company name was obtainable, so he purchased. Parsons said the corporation stayed with the name mainly because it made folks grin and recall it. The corporation altered its name branding from “Go Daddy” to “GoDaddy” in February 2006. In April 2005, GoDaddy had become the biggest ICANN-accredited domain registrar on the web.GoDaddy is recognized as the world’s largest hosting company by market share, reported by numerous sources. Amazon Web Services (AWS) is a subsidiary of Amazon.com that delivers on-demand cloud-computing systems to people, businesses and government authorities, on a paid reoccurring basis including a free-tier choice available for twelve months. The technology enables customers to get at their fingertips a full-fledged digital group of computers, accessible constantly, on the internet. AWS’s form of virtual computer systems have most of the features of a actual computer including local/RAM memory, hardware (CPU(s) & GPU(s) for running, hard-disk/SSD storage); a selection of computer operating systems; networking; and pre-loaded application software such as web servers, CRMs & databases. Every AWS system also virtualizes its console I/O (keyboard, display, and mouse), enabling AWS customers to connect with their AWS product utilizing a modern day internet browser. The web browser behaves as a window in to the virtual computer, allowing buyers to log-in, set up and utilize their virtual systems simply as they’d an actual physical computer system. They are able to choose to deploy their AWS systems to supply internet-based services for their own and their clients’ advantage.The AWS technology is carried out at server farms globally, and taken care of by the Amazon subsidiary. Charges depend on a mix of utilization, the hardware/OS/software/networking capabilities selected by the customer, needed availability, redundancy, safety measures, and repair options. According to exactly what the customer requires and will pay for, they are able to book just one virtual AWS computer, a group of virtual computers, an actual physical (real) computer devoted for his or her sole use, or perhaps a cluster of committed physical computers. Included in the recurring agreement, Amazon handles, updates, and offers industry-standard security to each subscriber’s system. AWS functions from many worldwide physical locations such as Six in The United States.In 2016, AWS is made up in excess of Seventy solutions across a wide variety such as computing, storage, networking, database, analytics, application services, deployment, management, developer tools, mobile, and tools for the Internet of Things. The most popular include Amazon Elastic Compute Cloud (EC2) and Amazon Simple Storage Service (S3). The majority of solutions aren’t presented directly to end users, but rather offer functionality through APIs for programmers to make use of within their applications. Amazon Web Services’ products are utilized over HTTP, while using REST architectural style and SOAP protocol.Amazon promotes AWS to customers as a means of acquiring massive computing capacity faster and inexpensively compared to constructing a genuine physical server farm. All services are charged by analyzing usage, however, each and every service analyzes utilization in different ways. You’ve most likely never read about the A2 internet business. While they’re much less well known than BlueHost or SiteGround, they promise rates of speed 20X faster than most shared hosting plans. They have been around since 2001, though in the past they were known as Iniquinet . They have data centers all over the world- in the Europe (Amsterdam), United States (Michigan), and Asia (Singapore). Additionally, they bost ‘99.9% uptime’ and guru-level support.A raging quick web host with incredible uptime and wonderful support? Or are they another organization with all sizzle and no steak? Other web hosting companies may have the large, fancy promotional initiatives. Or even the whole blogosphere boosting them for affiliate commissions. But A2 web hosting delivers where it matters most: performance, at least according to HostingFacts. In spite of it’s low-key reputation, A2 offers among the best uptime and speed results they’ve seen. Their customer service is likewise pleasant, mindful and couldn’t be endorsed more highly. Azure from Microsoft is a cloud internet services platform that will help businesses and individuals develop their own online properties and discover better results. For all those thinking about internet hosting, the primary service from Azure may be the content delivery network. Additionally, they’ve got media services, web apps, API apps, and much more that will help make operating various kinds of internet businesses much easier than it otherwise would be. If you are searching for a conventional web hosting solution for your website, whether it’s an affiliate site or a brick and mortar business, this isn’t it. This is really a complimentary group of services to help assist your primary site. The content delivery network from Azure, for instance, permits people to load files for their web site from the Azure servers. This is very important for bigger files, or very active sites. The Azure system helps support countless sites, which includes a few that get billions of users a month. For those searching for the kind of solutions offered here, they certainly do a great job. WordPress.com is a blogging platform that’s held and managed online by Automattic. It’s operated on WordPress, an open source software employed by bloggers. This site supplies free blog hosting for registered users and it is monetarily backed by way of paid upgrades, “VIP” solutions and advertising (Source). The site opened up to beta testers on August 8, 2005 and opened up to the general public on November 21, 2005. It was at first released as an invite-only service, even though at one stage, accounts were also available to people that use the Flock internet browser. As of March 2016 there are over 58 million posts published month-to-month on the service. Contrasting BlueHost with WordPress.com is just challenging since they’re so distinct. WordPress.com is concentrated only on supplying hosting for individuals who wish to have their own WordPress site managed on their servers. BlueHost, however, is a superb choice for individuals regardless of what kind of website they would like to operate. For even WordPress based sites, however, BlueHost has higher quality web hosting. They’re faster, much more secure, and supply much better assistance, which results in naming BlueHost the winner of the comparison (Source). DigitalOcean, Inc. is an American cloud infrastructure service provider based in The Big Apple with data centers throughout the world. DigitalOcean supplies developers with cloud solutions which help to set up and scale programs running concurrently on a variety of computer systems. At the time of December 2015, DigitalOcean was the second biggest hosting company on the planet when it comes to web-facing computers (Source). In 2003, Ben and Moisey Uretsky who’d founded ServerStack, a managed hosting business, wished to produce a new service which would mix the web hosting and virtual servers. The Uretskys, having analyzed the cloud web solutions market sensed that many hosting providers were focusing on organizational clients leaving behind the entrepreneurial software program developers market underserved. In 2011 the Uretskys established DigitalOcean, a business which could supply server provisioning and cloud web solutions for computer software programmers. When examining BlueHost and Digital Ocean, you can easily observe that one is much better than another. Although Digital Ocean services more locations (The United States, Europe, and Asia) compared to Blue Host (Just The United States), that’s nearly the only way they’re better. BlueHost has more web packages to select from, extra alternatives for technical support, as well as ranking better in every category for real consumer scores.